Light, breezy, and pretty much always busy, Jeni's is a MUST for a post-meal sweet tooth craving. If youâ€™re feeling adventurous, try Goat Cheese & Cherries. Whiskey Pecan & Brambleberry Crisp are also popular! Rumor has it that Jeni herself prefers Riesling Poached Pear Sorbet. 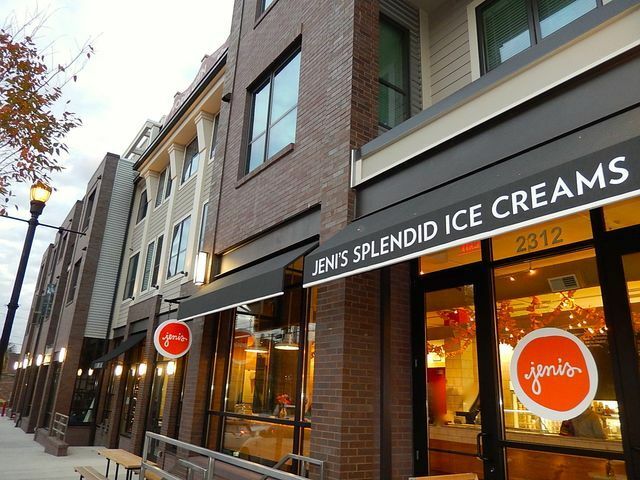 Jeni's is tucked away in the 12 South neighborhood, a friendly hipsterâ€™s paradise. Youâ€™ll hear musician dudes talking gear, see Etsy store owners taking photos for their blog, and pass semi-famous people pushing their baby in a stroller whilst enjoying a popsicle. Everyone is pretty much smiling all the time.